If you were on the fence about what Keller Williams Realty has to offer you, you now have proof that this is the leading real estate company in the industry. 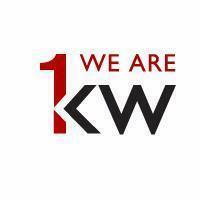 KW has surpassed all other real estate companies in regards to agent count. That’s right, Coldwell Banker, Century 21, Remax, etc. have fewer associates than Keller Williams. Being number one in agent count isn’t the only area we wish to excel. Unlike other real estate companies that are struggling to keep afloat, 95% of all Keller Williams offices are profitable. This means that there was not only an increase in profits for market centers, but for individual agents as well. Keller Williams Realty is breaking records left and right, however, do not make the mistake that weare stopping there. In fact, leaders at Keller Williams Realty International claim that the best is yet to come. We have achieved the top spot in agent numbers with over 110,000 agents around the world and are continuing to strive for the top position in transactions and volume, too. Keller Williams is not only concerned about internal success, but in giving back to the communities in which we serve. With KW Cares and RED Day, KW focuses on helping fellow KW agents that are in need and also providing hundreds of thousands of hours of community service each year! The number of agents and unprecedented culture of Keller Williams Realty is the driving force behind our success. However, with over $575 million in total profit sharing revenue, agents have a reason to keep striving for more. There is no stopping this powerhouse that was ranked number nine in the top 150 places to work, the only real estate agency to make this list. If you were not convinced before, you can now see the unprecedented real estate career opportunities that are available with this revolutionary company. Contact us today to find out how you can be part of the real estate company that is leading the way in training, culture and sharing company profits with associates. We’d love to have you a part of the KW family!